Fresh ginger and whole star anise perfume this tasty dessert. 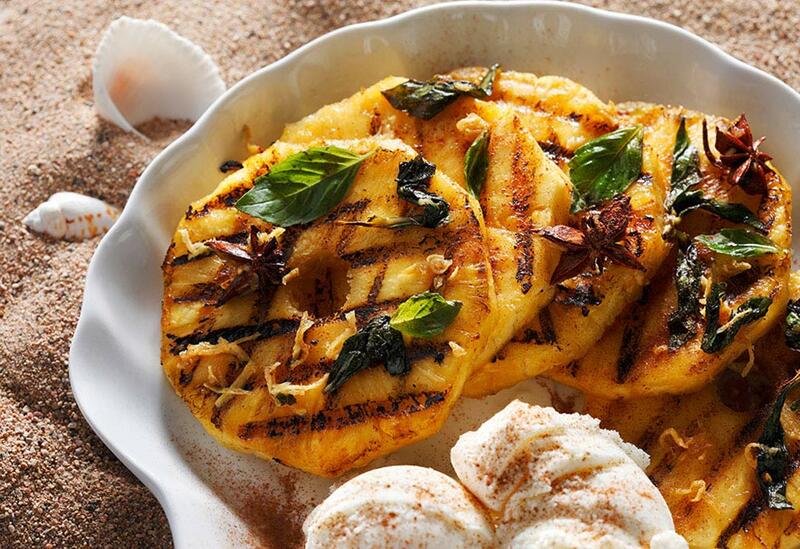 Canola oil is used to coat the pineapple before grilling because of both its high heat tolerance and mild flavor. 1. In medium bowl, combine ginger, anise, basil and sugar. 2. Add pineapple slices and stir to coat pineapple. Set aside to allow flavors to develop. 3. 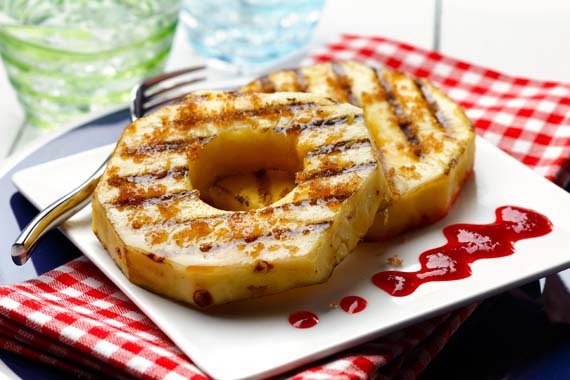 Spray canola oil on grill and cook pineapples until they are marked on both sides and they appear slightly caramelized. 4. Sprinkle pineapple slices with ground cinnamon and serve with 1/2 cup (125 mL) frozen yogurt. Garnish with fresh basil leaves. 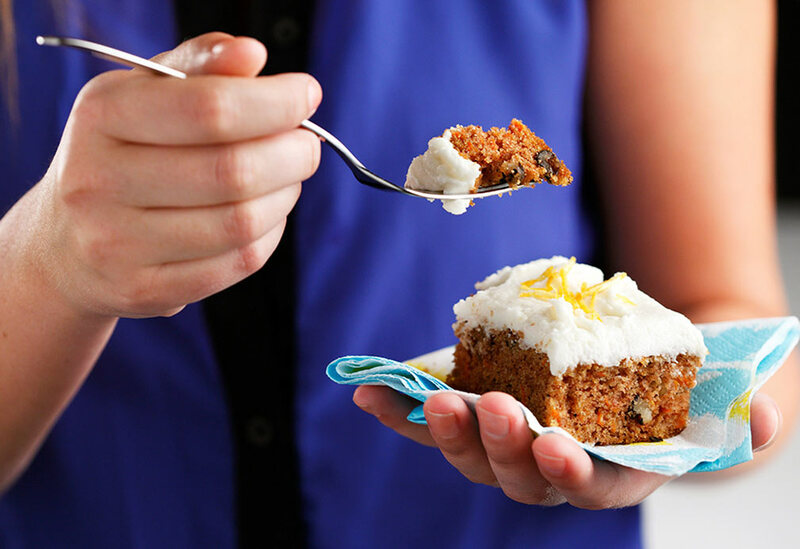 This quick-to-prepare dessert is simply delicious! I like to serve the lightly grilled fresh fruit with vanilla yogurt. To add a little crunch, accompany with Cinnamon Sugar Triangles. 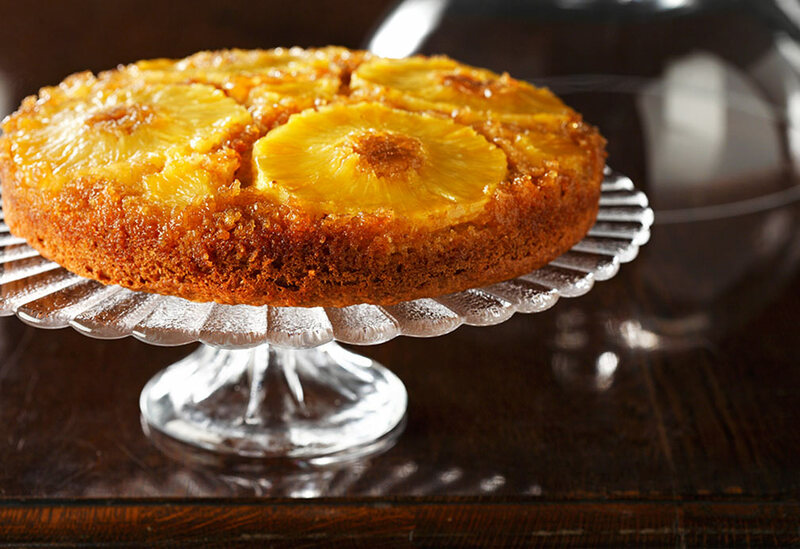 This classic cake was made famous by women's magazines after canned pineapple became available in slices. The recipe here gets an update with canola oil keeping it moist, light and low in saturated fat; the addition of tender, whole-grain pastry flour; and a lovely kick of crystallized ginger to mingle with the pineapple in the caramelized topping. You and your guests will be turned upside down by it!